– Seanín Ní Connalláin writes about the ongoing campaign in Queens’ University Belfast to resist the outsourcing of security jobs to notorious security firm G4S. Over the past number of days, students at Queens University Belfast have been mobilising to prevent the privatisation of security positions at the Students Union. Currently QUBSU employs 18 security staff, of which around 90% are current students or graduates of the university. 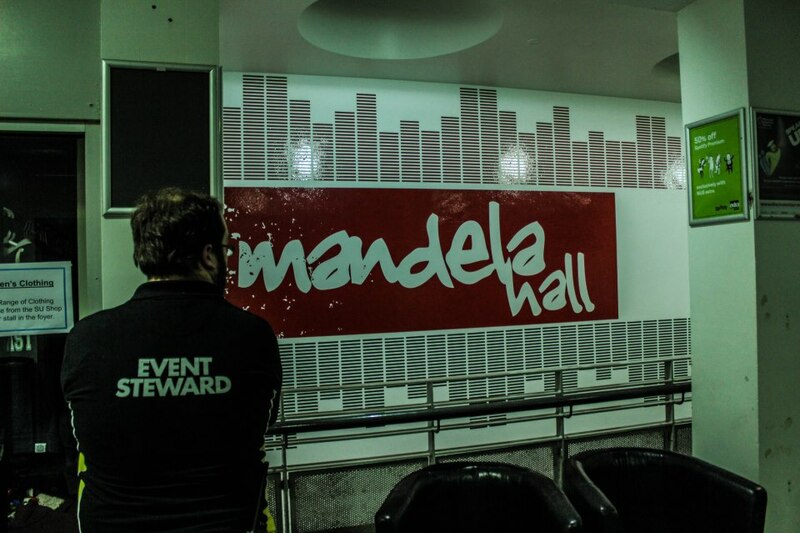 Door security is currently outsourced to G4S for events, with the rest of the security being provided in house. At the beginning of April, security employees of the SU were informed that contracts they currently hold would be terminated at the end of this month (May 2013) to make way for the outsourcing of their positions to private security company, G4S. Employees are currently in the position of having to decide between accepting a zero hour contract with G4S or losing their job. In his debut for the Irish Student Left Online Garrett Mullan adds to the ongoing debate about USI citing his own experiences of Students’ Unions in both England and Ireland. This piece is reposted from Garret’s own blog over here. Welcome to Irish Student Left Online!! Obligatory first blog post. Those of us at ISLO are very happy to welcome you all to the site. We hope it will be the start of some very stimulating discussion and debate. The following is just a little bit about Irish Student Left Online and its plans for the future. Founded in January 2013, Irish Student Left Online is a blog set up to give space for the radical student voice studying in Ireland. Alongside discussing the ever present issues of student fees, grant cuts and the continuous neo-liberalisation of third level education, both in the Republic and in Northern Ireland, it will discuss wider topics such as abortion legislation, LGBTQ rights, anti-racist/anti-fascist movements, feminism, anti-war and of course the wider anti-austerity campaign. The second function will be to start a discussion and debate on exploring the possibilities of what the student movement can be beyond the usual lobbyist tactics of recent years and how a broad left student group could develop to cater for a united and truely progressive student movement.